1) Benoit, M., Desnues, B., & Mege, J.L. (2008) J. Immunol., 181, 3733–3739. 2) Murray, P.J. & Wynn, T.A. (2011) Nat. Rev. Immunol., 11, 723–737. 3) Mosser, D.M. & Edwards, J.P. (2008) Nat. Rev. Immunol., 8, 958–969. 4) Murray, P.J., Allen, J.E., Biswas, S.K., Fisher, E.A., Gilroy, D.W., Goerdt, S., Gordon, S., Hamilton, J.A., Ivashkiv, L.B., Lawrence, T., Locati, M., Mantovani, A., Martinez, F.O., Mege, J.L., Mosser, D.M., Natoli, G., Saeij, J.P., Schultze, J.L., Shirey, K.A., Sica, A., Suttles, J., Udalova, I., van Ginderachter, J.A., Vogel, S.N., & Wynn, T.A. (2014) Immunity, 41, 14–20. 5) Mills, C.D. (2015) Front. Immunol., 6, 212. 6) Gordon, S. (2003) Nat. Rev. Immunol., 3, 23–35. 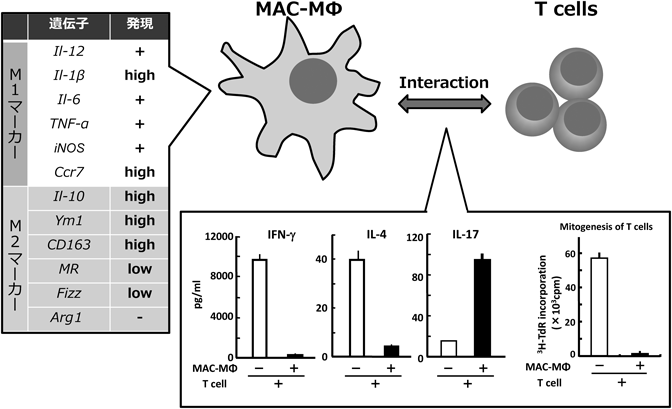 7) Mantovani, A., Sica, A., Sozzani, S., Allavena, P., Vecchi, A., & Locati, M. (2004) Trends Immunol., 25, 677–686. 8) Gerber, J.S. & Mosser, D.M. (2001) J. Immunol., 166, 6861–6868. 9) Edwards, J.P., Zhang, X., Frauwirth, K.A., & Mosser, D.M. (2006) J. Leukoc. Biol., 80, 1298–1307. 10) Martinez, F.O. & Gordon, S. (2014) F1000Prime Rep., 6, 13. 11) Mantovani, A., Garlanda, C., & Locati, M. (2009) Arterioscler. Thromb. Vasc. Biol., 29, 1419–1423. 12) Tomioka, H., Tatano, Y., Maw, W.W., Sano, C., Kanehiro, Y., & Shimizu, T. (2012) Clin. Dev. Immunol., 2012, 635451. 13) Tomioka, H. (2008) Expert Opin Drug Discov., 3, 21–49. 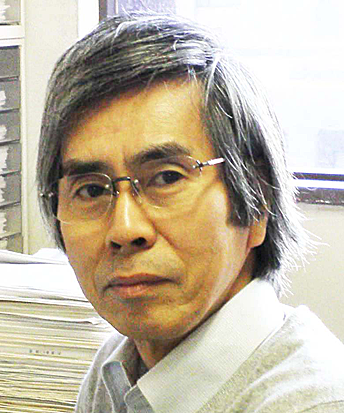 14) Tomioka, H. (2009) in Current Topics on the Profiles of Host Immunological Response to Mycobacterial Infections (Tomioka, H. ed. ), pp. 251–280, Research Signpost, Kerala. 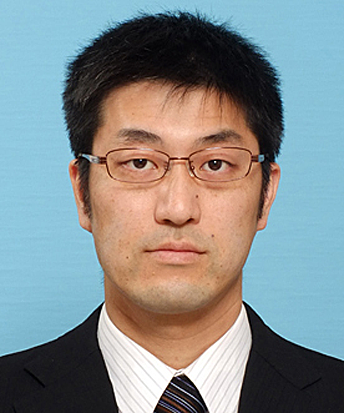 15) Tatano, Y., Shimizu, T., & Tomioka, H. (2014) Sci. Rep., 4, 4146.